Whether you are preparing your students for standardized tests, finals, or working to build retention with spiral review, these resources will knock your socks off with their effectiveness and the student engagement they elicit. Hands down my favorite way to review, BINGO games encourage collaboration among students. Students work in groups to answer review questions. Watching my students teach each other and witnessing light bulb moments all around the room is my favorite part of this super fun activity. Check out the available games for 7th grade and 8th grade. 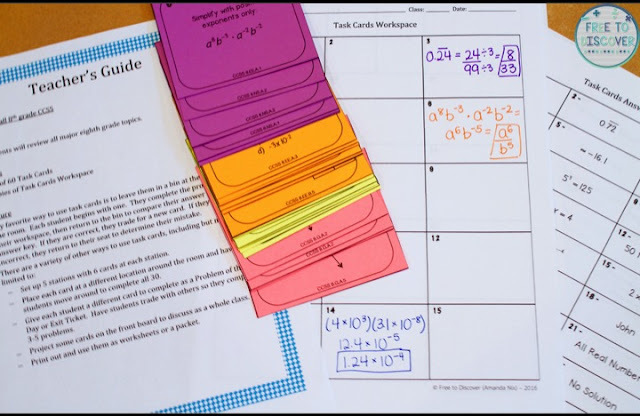 Available in 5th grade, 6th grade, 7th grade, and 8th grade, these sets of 60 task cards provide an overall review of the Common Core State Standards for each grade level. My favorite way to use task cards is to leave them in a bin at the front of the room. Each student begins with one. They complete the problem in their workspace, then return to the bin to compare their answer with the answer key. If they are correct, they trade for a new card. 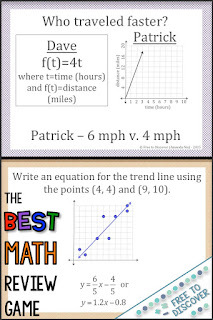 If they are incorrect, they return to their seat to determine their mistake. This strategy encourages movement, self-checking, and independence while students review grade level material. Scavenger Hunts are my students’ favorite way to review! 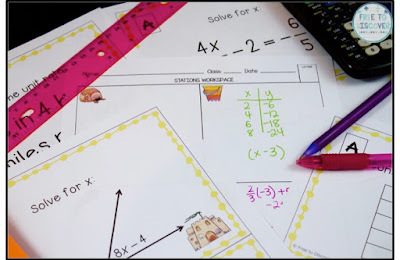 Students move at their own pace to complete practice problems in a specific order. Their answers lead them to the next problem. They can work together or independently while they review end of year material. While students are working, I walk around to target students who may require some reteaching. 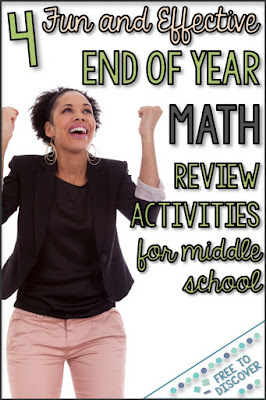 Available in 5th grade, 6th grade, 7th grade, 8th grade, and Algebra 1. These stations are so unique and effective. 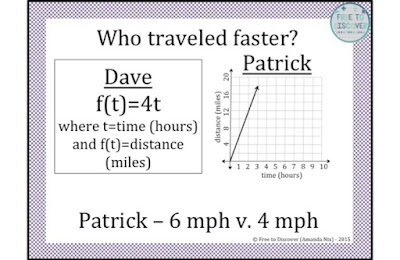 Students travel in pairs to solve review problems. Each partner solves a different problem but they should arrive at the same answer. Then they use the provided key to acquire 8 letters that can be unscrambled to spell the secret code word. Promotes movement, collaboration, independence, critical thinking, and review. Available in 7th grade and 8th grade. 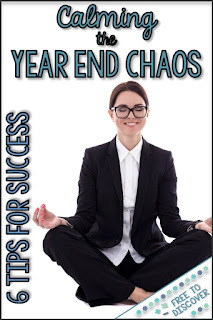 Check out all of my end of year resources here! Subscribe today to receive a free resource in your email inbox! Here are some related posts you might enjoy.